La rue des Ursins à l’angle de la rue des Chantres, Paris (IVe arr. ), France, July 1914, by Stéphane Passet, via Archives of the Planet Collection – Albert Kahn Museum /Département des Hauts-de-Seine. 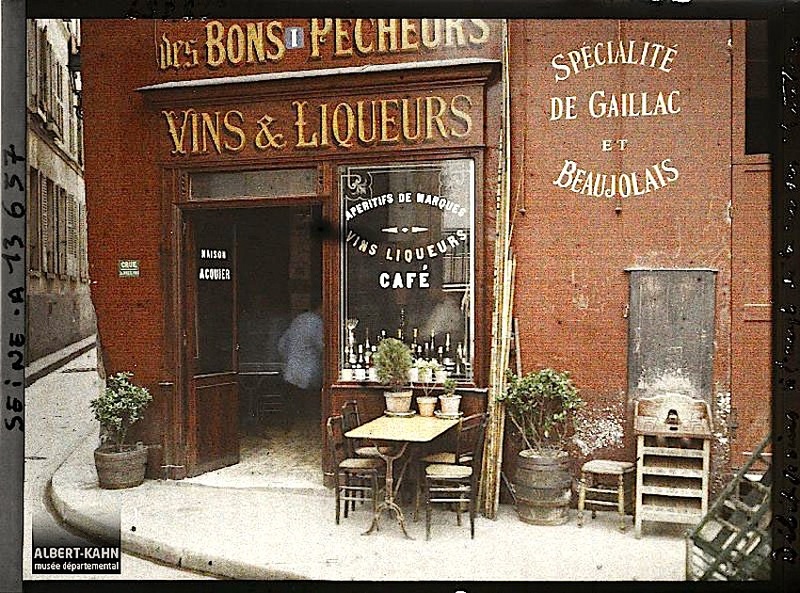 Was this photo taken at the current corner of rue des Ursins and rue des Chantres in Paris? You can see the location here. I can’t decide. The autochrome above is one of about seventy-two thousand that were commissioned and then archived by Albert Kahn, a wealthy French banker, between 1909 and 1931. Kahn sent thirteen photographers and filmmakers to fifty countries “to fix, once and for all, aspects, practices, and modes of human activity whose fatal disappearance is no longer ‘a matter of time.’”* The resulting collection is called Archives de la Planète and now resides in its own museum at Kahn’s old suburban estate at Boulogne-Billancourt, just west of Paris. Since June 2016, the archive has also been available for viewing online here. *words of Albert Kahn, 1912. Also, the above photo (A 13 657) is © Collection Archives de la Planète – Musée Albert-Kahn and used under its terms, here. Just stumbled on your blog – enjoying going back to see your wonderful postings! In this picture I love how scraggly the potted plants on the table are! I have some quite like that. They are a little scruffy, but they still made it a charming place for a glass of wine.